I've this weekend finally powered up my monitoring system. Super excited to see what I can learn and share with others. Also, what I can observe. My first finding, was my light sensor was unable to cope with 600w+ of light output when being so close (inside the light). So I've temporarily used a tint on it to reduce it's recording value. This, therefore, means my actual lux values vs recorded lux values will be incorrect. However, recording watts used VS my light output, I only want to see one important factor; lighting output vs watts used - let the system tell me when my bulb is old and it's time for a new one. I'll perhaps see how the bulb ages and report back. Would 5/10% drop in output be worthy of getting new? The point to reflect is how can I tell when an aging bulb drops particular frequencies. For now though, because I'm not a scientist, light output reduction will be fine for me. My first lesson learned, is varying watts used does not mean varying watts output. I'm really impressed with the constant output of light. My system that records 42 sensor inputs, as well as the date/time is now around 70% operational (waiting connectors for some of the sensors). Here are watts vs light for the past 24 hours. 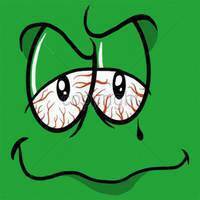 @3potheads inspired me mate! Just need to figure out how to get the data to download automatically without hassling with an SD card daily. Further to reviewing my data set, I've added 8x of the temperature (also humidity but not charted) sensor values. Really interesting to see. Mainly because I've seen when the fan kicks in. I have a sensor inline with the hood (temp 3), top of the tent, bottom of the tent and at canopy level. It's surprising to see there is a noticeable difference with all the values. My dynamic fan controller must kick around 1430 reducing the temp through air flow. 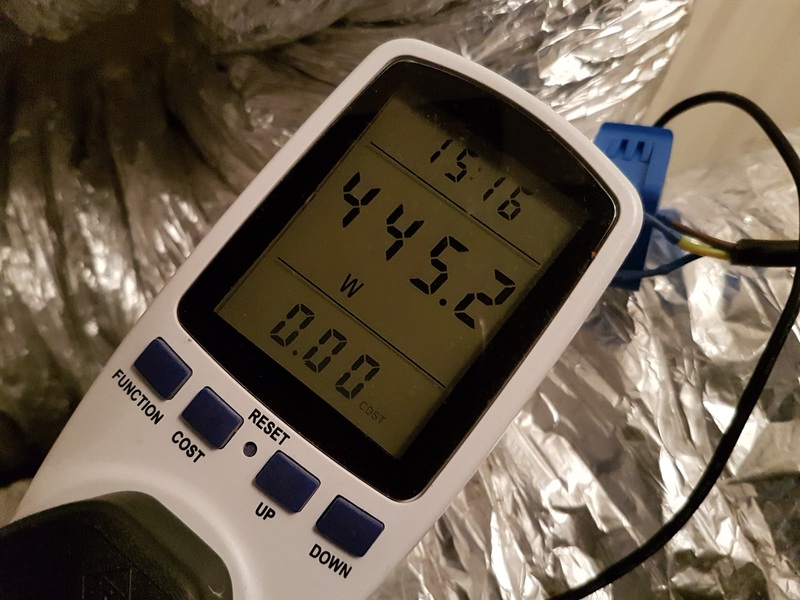 Really wish I recorded the wattage output on the fan controller to see the lag behind the temperature variation. There are some sensors outside the tent at the moment, these will be in the other medium and small tent, as well as the general room just for monitoring. This is awesome! Look forward to seeing your findings. 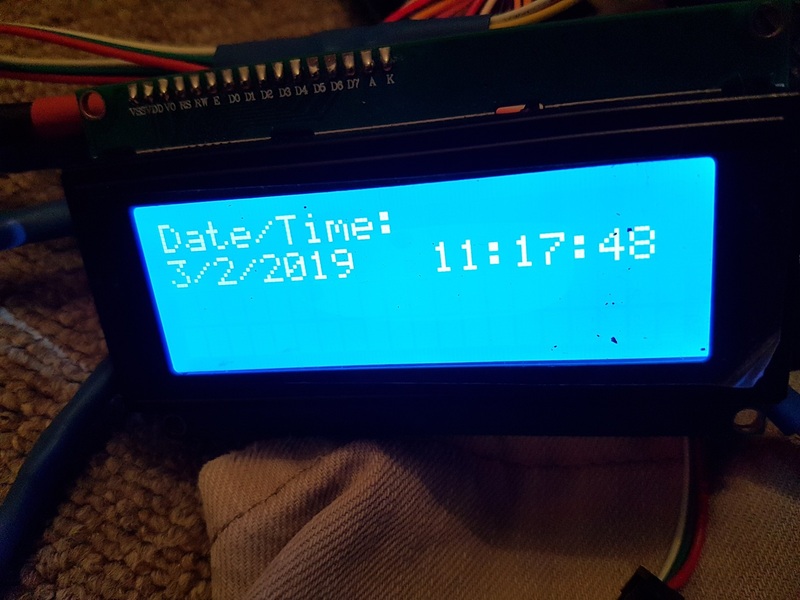 You just using a Pi to capture the date and drop into excel or built some insane software and DAQ device? With leds we get a LM80 test report. This is a long term test that measures both lumen maintenance,after X hours,and also the shift in colour temp as the led ages. Maybe there is a HPs equivalent to the:LM80 to search for. This is awesome! Glad to see it's all up and running! I'm now super interested in a watt meter and light sensor.... Are both of these hooked up to the Arduino? How often are you taking readings? Looks like you have a super stable enviro as those are some straight lines! Temp 1, 2 and 8 in the tent with the others outside atm? Also interested in how you are recording data currently. How is saving to SD card atm? What do the 42 sensors consist of once all connected? Can you show pics of the current setup of the device and sensors? Love it though, you can never have too much data and the setting up and configuring of it all is great! Here's a photo of the first 3 screens on the LCD (I have scrolling pages while it collects data and records to SD card before going into 5 min delay, so I can review in the room without any other hardware). I've had a look and found some PAR and other light sensors. Maybe I just have the sensor too close. Might have to make a fixture to attach to the light, so it's around the canopy area. Yes mate, both light and current sensor hooked up. Using equations to calculate watts, based off current values. Have to calibrate the unit, using a plug meter to tell me what the voltage is and current exactly, I just calibrate them both in on the code and then as it regulates it adjusts. 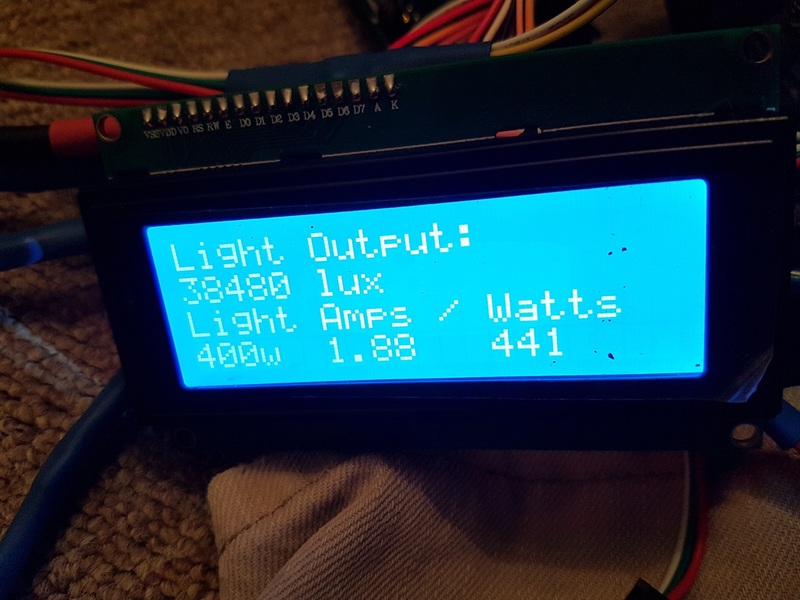 I'm going to program it so it auto calibrates with different wattage values, I seem to get some minor drift on the values when the range goes from 400w to 1100w on the digital ballast. But I can adjust the code to re-calibate automatically, detecting the current and using the calibration values accordingly. All in time though, manual adjustment for now. Which is why the light screen displays the wattage setting - to remind me what the code thinks. I'm using SCT 013 000 current sensor. You need to use an extension lead that allows you to isolate the brown wise only. You can't hook current sensors around the whole cable; it will read both incoming and outgoing currents. I added the humidity for the temp 3 sensor which I think is in the hood. I need to draw a map of where they all are, as I wanted to keep the system programming generic in case I made another system. Does make sense as the air warms it loses it's humidity. No more charts today, promise!! All feedback welcome Would be nice to control a heater with these sensors, rather than a disconnected system. Could see an accurate measure of what the heaters are turned on that way (recording ON/OFF triggers in excel). Btw, the float column is for my low level switch on my water. I have a drain to waste setup using a weir system. I'll get photos of that when I put the next crop in larger 25 litre pots over the next week or so. Oh gad this great! This is what I want to do once I get further along. I want to control heaters with Pi instead of thermostat as then I can control off/on better and turn off/on manually. I know you can get relays for the Pi so I'm sure you can for Arduino as well. I also want to measure PH/EC/water level etc as well when I get my Wilma. I'd love to be able to fix the issues with PH/EC automagically as well... maybe with time! This is all making me geek out just a little toooo much. As I've not used an Arduino I'm not sure how the data is written to the card but I'm guessing you can't host a DB and/or a webpage on an Arduino? If not then if you can get the data onto another device and into a DB you could get it all onto a website. Would you consider connecting a Pi to the Arduino to host the DB and webpage? I'd happily help as much as I can in getting it setup and running! Please post as many graphs as you feel is required! The more the merrier! P.S love the screen as well. I need to look at getting one for the outside of the room that cycles through info. 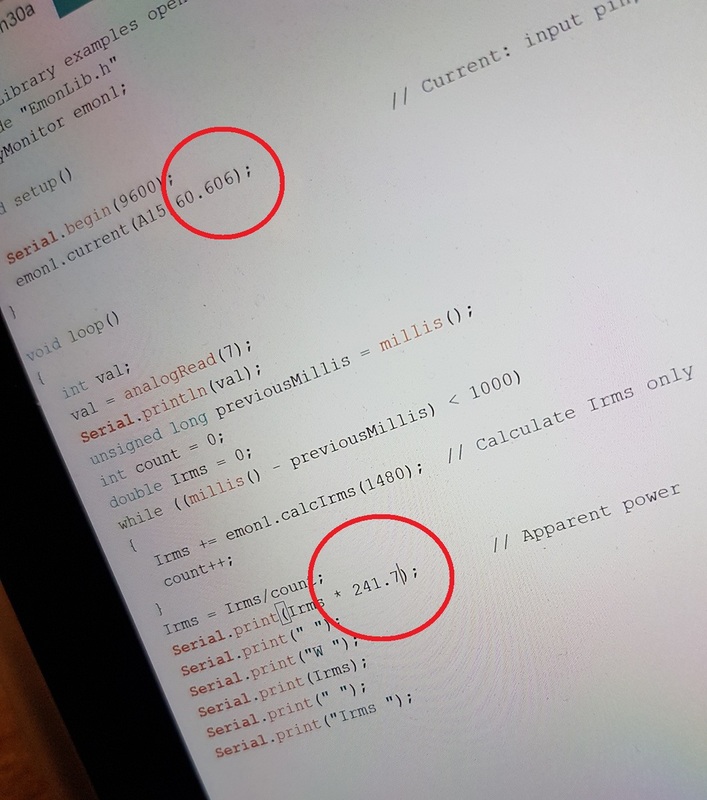 How is that connected to the Arduino? very impressive, a friend of mine once set it all up with a pi. temps and everything. Did you have programming experience or just study up on them with this in mind? Thanks man. I'm a qualified electronics engineer (previous career, not current one), but I must add, that gave little help when it came to programming. I would say my academic and previous electronics knowledge only really helped when it came to making looms. All the knowledge you need to make these systems is online and came from researching. Anyone who's capable of committing to learning something new, can figure out how to make their own electronic system for sure. Thanks mate. I want to only measure EC pH on incoming water; I mix a bucket, then feed through a pump going to a pipe setup and ring feed per pot. Then into the wilma pots, naturally draining to a weir setup. No recirculation for me. But watering 9 pots was made so much easier when I could do it from outside the tent. I can water with the lights off as well (there's surely some millage is trialling single day feeds vs half twice a day feeds). My first plan of storage was going to be download the data onto my network using the WiFi module. Given that to a friend today, as had trouble flashing the hardware. It's basically a processor with WiFi capability. Would get the file stored off the SD card sent daily to a download location. I've not actually done any network communication with them, so should be a lesson to figure that setup out. The excel stuff is easy. I'm really hoping I can see some interesting relationships. Be great for some help on the hosting and indeed, the data. I've not done any of that before. For your Pi, I advise not using relays but a mains relay module. You can buy them for around £10. They are pre-designed to handle high voltages. I saw some UK based, try and avoid anything China when it comes to controlling 230v. Not wanting to risk fires. I'll get some photos of mine, I use one with the weir setup and an Arduino. When the weir gets too high, the float switch pumps water into a second bucket. Allowing me to dump a huge volume of water if I want (for flush) or just general feed. Run off in Coco actually takes upto 12 hours to fully drain (for my setup anyway). So it just powers a pump on until the weir is low again. Easy man! I've left the sensor recording for a few days. Just to see the lowest and highest temperatures. I've turned off the 400w HPS and now only have 4x 45w CFL's in each corner of my 1.5m^2 tent. 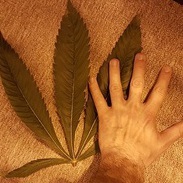 I'm delaying growth due to wanting to re-pot them and fire up the HPS into 600w mode. So holding off on the light to see how the houses natural temperature impacted the grow environment. So no wattage/light values. My 13 core cable arrived today for the extra sensors. It's almost like heavy duty core wire. So bit gutting really, bit overkill on the gauge (wire thickness). Second thing I've learnt within a few days, is the amount of time heat remains in the area. Now the fan reacts due to temperature, the slower moving air gives a much lower exchange rate. Didn't consider that when I got the controller. Shown my minimum temp from data overnight is 17 degrees. I need a heater? Usually read 18 is the lowest. Spikes are shown during times the heating comes on. 640am and 430pm ish. Using relays to control a heater to a temperature, using on/off control, is usually the least efficient and least accurate method. If you could find a small heater that could be controlled with an analogue signal (0-10v.4-20mA etc) you could write a nice little PID/control loop in your microcontroller, however its probably overkill for the application. On/off would suffice. You could use multiple sensors in the soil of each pot, at different heights in the pot to find an average moisture content and use that to automate a watering system. A few pipes buried into each pot, leading to a small holding tank and a pump would suffice. Or use a sim card so it can alert you when to water/feed. You could use the micrcontroller (depending on type) to rotate each plant at certain intervals during lights on. You could control extraction via an analogue signal and desired humidity/temp level. Options are endless, loads more ideas but im posting this now as my phone is about to die! If you need any pointers im sure i can help, i have a lot of experience in this area. Hey @mot123 welcome to the automation and electronic party! Thanks for the kind feedback. Appreciate the input also. The multiple moisture sensors is a good idea. I'm just going to begin monitoring the top two inches and see how I go. I'm already just about to have 42 points every five minutes. This could definitely power a water system on an output pin, with a spare mains module I have. I like that idea. If dries out before schedule feed, emergency water. Was thinking of the GSM module for text alert, but that was mainly to notify me of electrical fault or fire/smoke/air quality issue (related). Not sure I could rotate the plants if I had sensors in the pots, unless just 180/360 then back around the other direction. 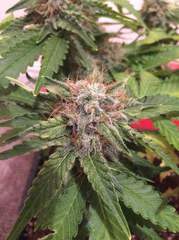 For my setup, I'm going to be supercropping 9 plants, so with the Scrog method I wouldn't want to risk ripping them apart. I did however consider smaller plants on a rotating table. You explained it better than I could have imagined! Seen some epic vertical industrial setups, there's got to be a connection there! Variable input into a heater would, of course, be the ideal. To stop the overshoot of reaction heat or slope from cold. Only way I can think to solve it easily, would be tapping into a variable heater control or having multiple heaters and using one or all of them depending on the difference. Multiple heaters working like one heater with variable settings. Analog of course, as you say, best option. Keep throwing ideas in, I really like the idea of an analog heater, I don't even use a heater. With min temp being 17 I really should consider one. How could we do it? excellent work on the arduino stuff i keep looking at it but just dont think i have "it" to learn the coding. i intended to create/replicate a ph doser (bluelab ph controler but cheap) and have just bought the peristaltic pump . whats your thoughts on the wemos mega with wifi and bluetooth built onboard for £8 they seem ace little things ? 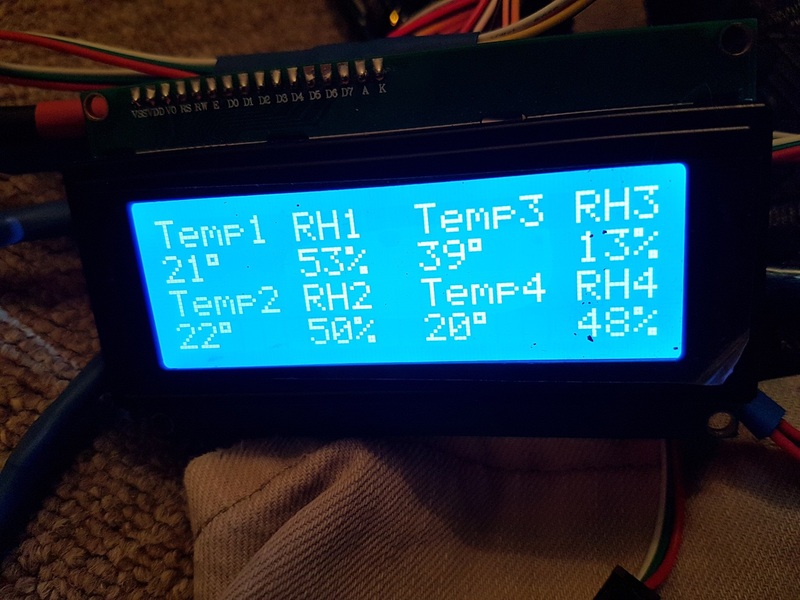 im thinking the wemos the pump a cheapo ph sensor and a few dht22 and a couple of waterproof temperature probes connected via wifi to blynk app should be quite possible so i can log data and squirt a bit of ph if needed. Hi @doobie01, thanks for the positive comments. I've tried the Wemos Mega board and also been trying to sort an ESP8266 unit. I'm still having troubles finishing off the WiFi modules and setup. It's a little different than the basic Arduino programming. I haven't spent a huge amount of time on it, but I would focus mainly on an automated system and log to SD card to begin with to keep things really really simple for you. I do have a Wemos spare sadly though! I would setup the pH to automatically input and not link with an app. Look at remotexy.com if you want to do something through your phone eventually. But my advice is to make a system that reacts without you having to link your phone or internet access. If it runs itself, you only need to view a log. You can always do a manual viewer and manual `squirt` later if you want to, when the systems been running for a while. Then, build on it downloading to the network. At that point, you can link an app that will pull the data. There's a lot of work needed without the WiFi connections. But, nothing a little bit of time won't solve with some basic `if` functions. IF reading from pH is low, turn on X output pin (powering pump) for X seconds. Wait ten minutes, program runs again, analyses, turns pump ON or stays the same. etc etc. Sound's like a great little project. Just buy a basic Arduino for now. Buy from Arduino.cc. Some cheaper eBay units fail before you've even got them plugged in. Save yourself the hassle! @mrevolve thanks mate thats the way forward i will use. will start by just making a ph pen first then start attaching everything else after that is sorted (after a lot of reading ) my pump arrived yesterday ready installed in mini project box connected to a grasslin digital timer in a large box pump is 240v 50hz 40rpm verederflex rotalink only pumps 40ml per min from what i can find out about it. it was my ebay bargain of £16 posted supposed to be new old stock but the timer has pen marks on the reset button . gonna get up blinkig led lights and stuff first to get a basic understanding before i try anything too tech and playing with the 240v side of thngs just yet ! !